His knees are weak, and his arms are heavy, there’s vomit on his hideous sweater already, It was mom’s spaghetti (he wishes). 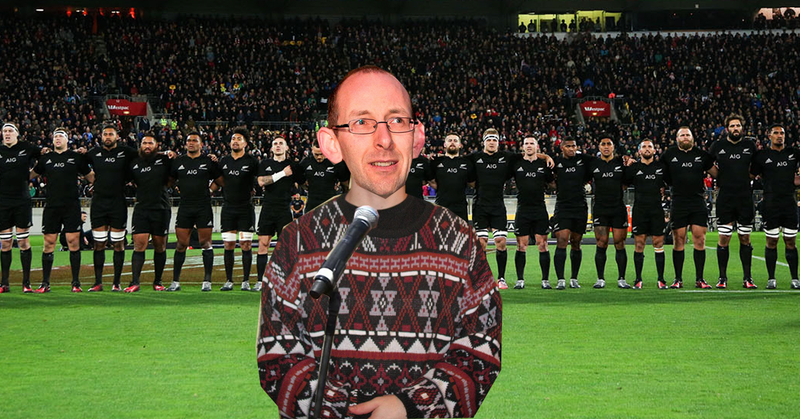 Yes, David Bain is reportedly nervous but excited to be singing the national anthem for New Zealand this weekend. It comes at a time where he is ready to once again enter the public arena after many years having to hide his special talent of singing and hone his talent of defending himself in court.